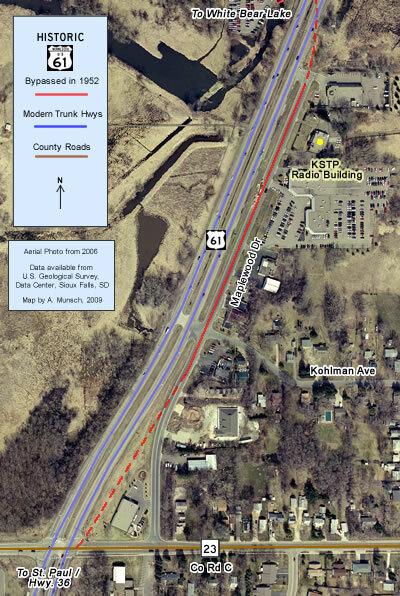 The service drive along the east side of U.S. 61 just north of County Road C in Maplewood was once part of the original paved highway between St. Paul and White Bear Lake. 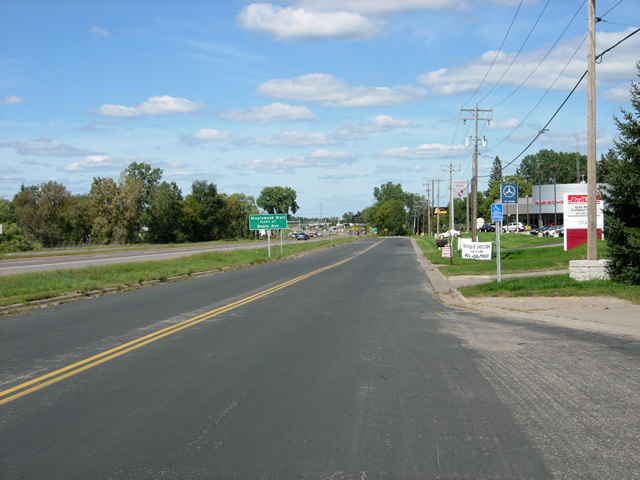 Looking north down the service drive towards Kohlman Avenue. 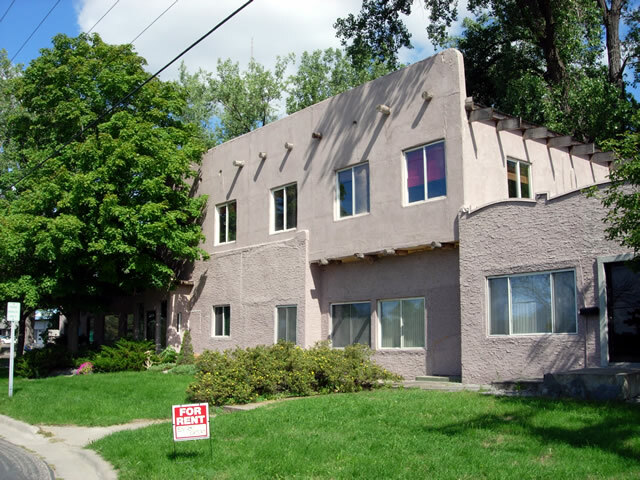 A bizarre adobe/western office building. Another view to the north towards Beam Avenue. 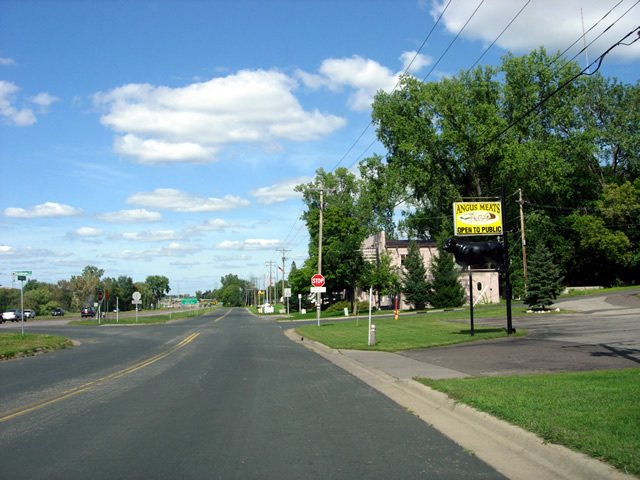 Note the Mercedes dealership and Abra auto body shop. 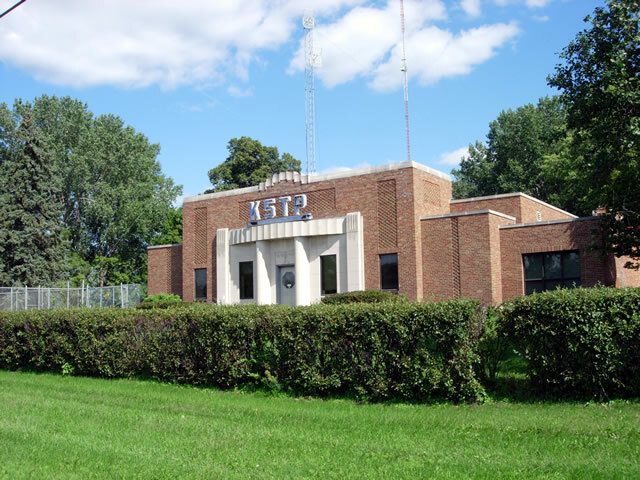 The historic KSTP Radio Building.